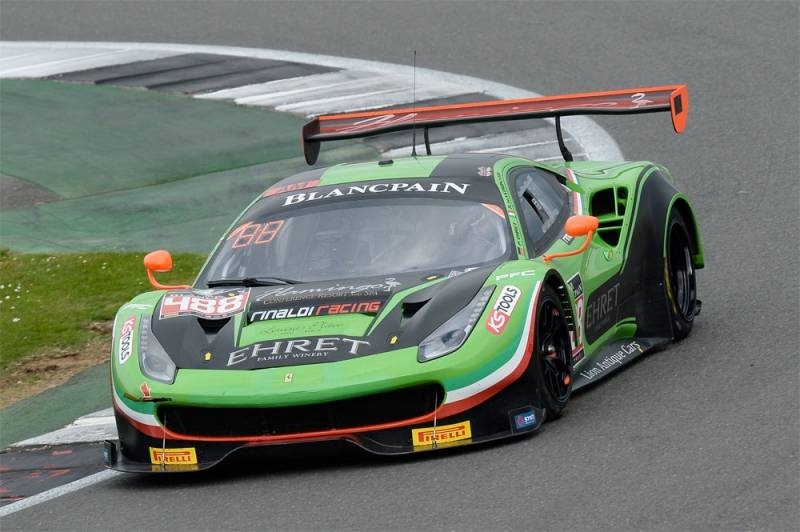 Pierre Ehret and his Rinaldi Racing copilot Rino Mastonardi have finished the second heat of the Blancpain GT Series Endurance-Cups in Silverstone with a class-win in the AM-category. The success of the german-italian Ferrari F488 GT3-duo was the first of the season, after their retirement at the first race in Monza, where an engine-failure costed the 2 pilots a first save win the class. 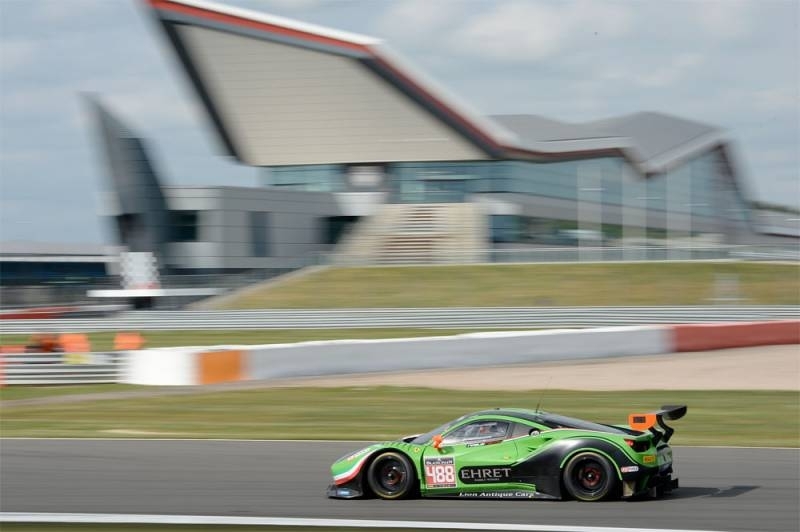 The win in Silverstone is the 4th AM-class-win for the 60 year old german in his fourth season in the Blancpain GT-Series Endurance-Cup and the second AM-win in Silverstone in a row, after last years success with copilot Stef Vancampenhout and the same Ferrari-chassis. "This weekend was more pleasant than the one in Monza. Although our qualifying-result was with P46 not that ideal and I had to fight with the opponents in our class at the start. But I managed to adjust myself to the cars setup and was able to hand over the Ferrari to Rino on the second position. As in Monza, he took the lead and expanded it and when I made my second stint in the last race hour, we were already one lap in front. I had some more trouble with the setup than Rino over the race, but overall the car was again very well adjusted and prepared by the Rinaldi team." Ehret concluded after the race. The German-Italian Duo crossed the finishline after 81 laps (35th overall-position) with a winning margin of one lap on the next opponent of the class, the Kessel Racing Ferrari F488 of the trio Marco Zanuttini, Jacques Duyver and David Perel. Third was the german Walkenhorst Motorsport BMW M6 GT3 of Mathias Henkola, David Schiwietz und Henry Walkenhorst. 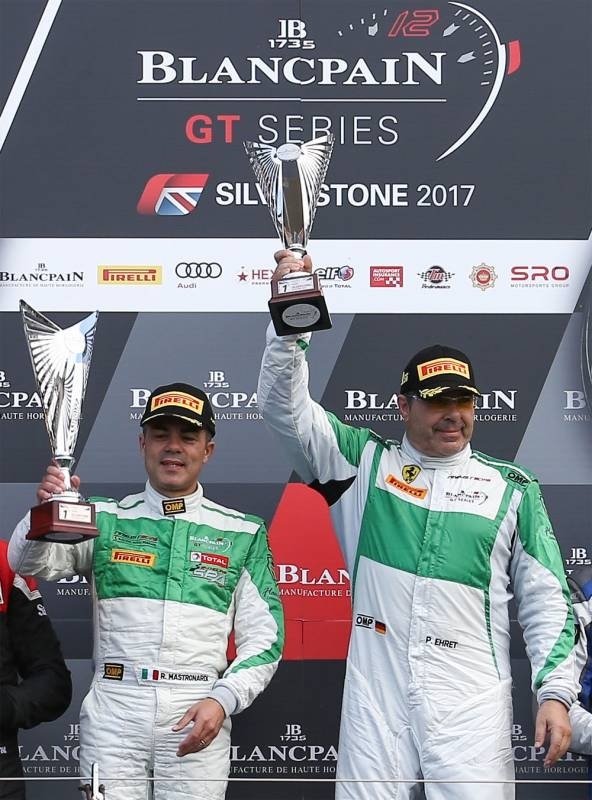 55 cars started the race (6 in the AM-class) which ended with another overall-win for the Grasser Racing Team Lamborghini Huracan of Christian Engelhard, Mirko Bortolotti and Andrea Caldarelli. "With our success we finally entered the chase for the class-title. As the winning team in Monza, the AF Corse Ferrari, was not here today, we now are just 4 points short of the lead in the class, which is currently in the hands of the HB Racing Lamborghini-Crew. Now we are looking for further bronce-pilots that could complete our crews for the 1000km of Le Castellet and the 24 Hours of Spa on the end of July. Rinaldi Racing is just evaluating the first candidats for these 2 races but there are still open seats for pilots to complete the crews ."